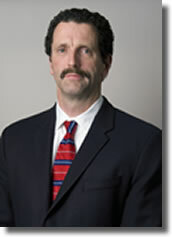 Dr. Brown has been on faculty, following completion of a joint replacement fellowship 1999. Dr. Brown specializes in complex hip and knee replacement and has developed one of the largest joint practices in the state of Virginia. Dr. Brown has trained over 75 residents and 15 Fellows. He has edited and published numerous textbooks, book chapters and articles on complex joint replacement. Dr. Brown is an avid cyclist, and enjoys time on the water at Smith Mountain Lake as well as in Maine.